Visitors to the Ute Mountain Ute Tribal Park approach Eagles Nest, an ancestral Puebloan cliff dwelling. A photogrammetry project will create highly detailed images of ruins in the 125,000-acre park, which will help with preservation efforts and eventually build virtual reality models. The Ute Mountain Ute Tribe is turning to high-tech aerial photogrammetry to document and preserve the history of its tribal park, which is more than twice the size of the neighboring Mesa Verde National Park and rivals its archaeological treasures. The Tribal Preservation Office will work with PaleoWest Archaeology and a grant from the Colorado Historical Society. Potter recently gave an update on the project at a packed lecture in Cortez sponsored by the Hisatsinom Chapter of the Colorado Archaeology Society. The 125,000-acre tribal park is one of the largest in the country, but it lacks the budget of the neighboring 52,000-acre Mesa Verde National Park. Visitation to the tribal park’s ruins on Ute Mountain Ute land is tightly controlled and requires reservations and a guide. Large crowds don’t exist. 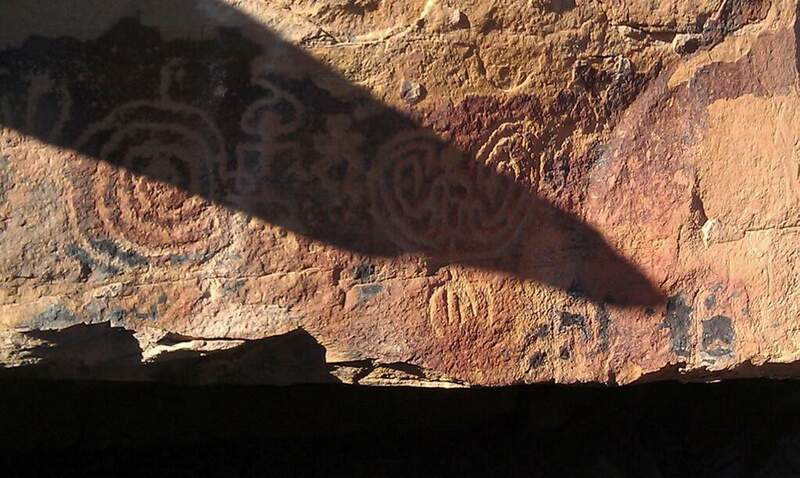 The tribe relies partly on state and federal grants to preserve and stabilize the ancestral Puebloan dwellings, which are situated in cliff alcoves and on mesas in the Mancos Canyon southeast of Towaoc. “With the year-round water source of the Mancos River, there was great farming and a high level of occupation from the Pueblo I through Pueblo III periods (A.D. 750-1350),” Potter said. 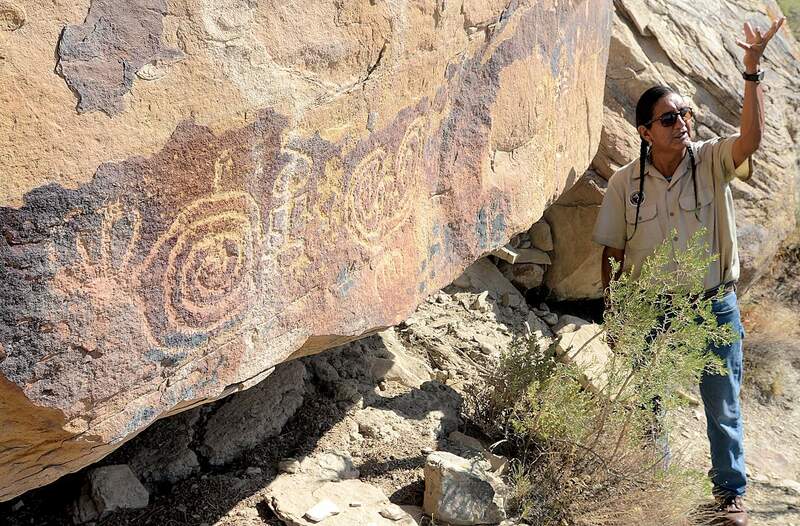 A pointed shadow moves across ancient petroglyphs depicting gods of the sun, death and water. This is one of several calendars at the Ute Mountain Ute Tribal Park that mark the winter solstice. 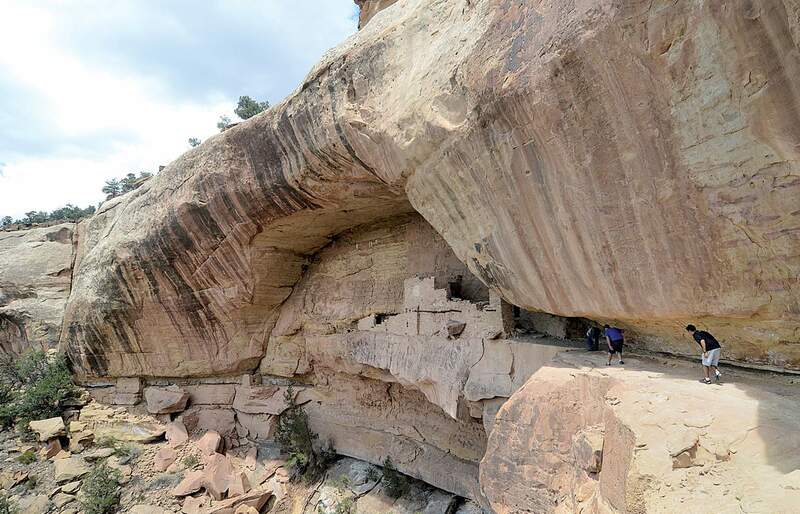 To better document ruins in the vast park, the Ute Mountain Ute Tribe and PaleoWest are kicking it up a notch with photogrammetry and flying drones to create detailed maps and 3D models of the park’s cliff dwellings, mesa pueblos and rock art panels. The technique stitches together thousands of photographs of individual sites taken from ground-based and airborne cameras. The remote-control drones have sensors that allow them to fly inside buildings and take photography without hitting walls. The images are loaded into computer software that creates a detailed 3D model that can be viewed from multiple perspectives. “For tribal elders who may not be able to go to these sites, we can create a virtual reality environment where they can experience these places, look at the artwork and study it,” Potter said. Photogrammetry can also record a baseline condition of sites. Imagery from yearly flyovers can determine whether erosion is damaging a site or stabilization efforts are working. Ute Mountain Ute Tribal Park guide Rick Hayes interprets a creation story that dates to the Pueblo I period. The petroglyph also served as a winter solstice marker, Hayes said. Potter and Ute Mountain Ute cultural experts have identified a dozen or so sites at the park to assess for preservation and to document with photogrammetry. Flyovers from fixed-wing drones are also revealing evidence of previously unrecorded ruins. Project goals include analyzing surface pottery, generating population estimates, creating updated site maps, documenting unrecorded sites and determining threats to preservation. Previous maps and research of the park tended to treat dwellings as separate sites, Potter said. Now, researchers are developing a more integrated map and occupation history that shows how the sites were part of a larger community. Site analysis and photogrammetry data target Red Pottery Mound, Kiva Point, Morris Three, Porcupine House, Eagle House, Tree House and others. For Kiva Point, 1,000 photos were taken for the 3D model, and for Tree House, 13,000 photos were taken, Potter said. A 3D model also was created for a rock art panel of Ute pictographs near the home of Chief Jack House, the Ute Mountain Ute leader who first conceived of the park in 1967. The study also identifies threats to preservation and makes recommendations to prevent them. 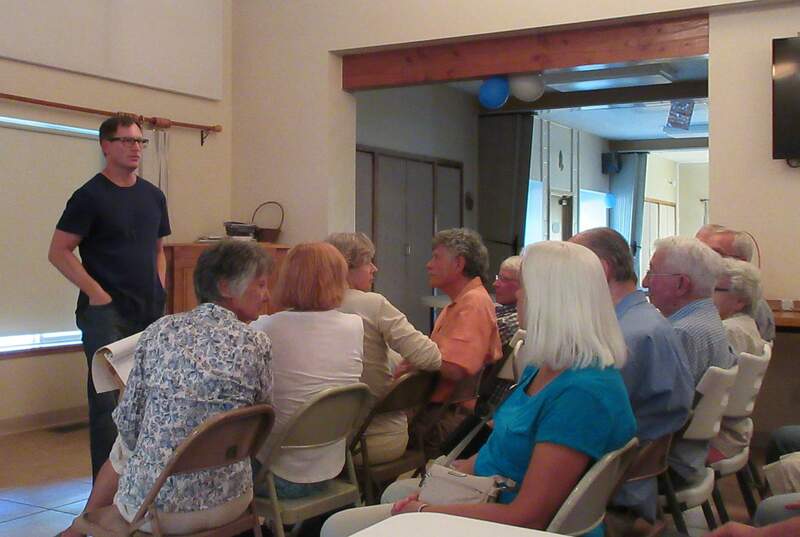 Archaeologist James Potter takes questions after a recent lecture in Cortez about a preservation project in the Ute Mountain Ute Tribal Park. Potsherds litter the ground at the tribal park, but they are disappearing as visitors illegally pocket them, as they’ve disappeared at Mesa Verde. “It is a case of ruins being loved to death,” Potter said. Recommended actions include preventing trails and livestock from crossing historic sites, repairing a bulldozed cut that is causing erosion in a ruin and avoiding grading activity on the sides of access roads that border historic areas. The virtual reality experience made possible by photogrammetry can also help reduce impacts of visitation, Potter said, and increase awareness of the Southwest’s history. The Ute Mountain Tribal Park offers half-day and all-day tours of ancestral Puebloan cliff dwellings, Ute historical sites and geology. Visitors must have a guide to enter Ute Mountain tribal land. Special tours are offered in August. On Aug. 11, the Turning Red Tail Hawk Tour visits the Morris Three and She House cliff dwellings. On Aug. 18, the Porcupine House cliff dwelling and Atlatl Point Tour is planned.Tours are $48 per person and are limited to 30 people. For more information, visit www.utemountaintribalpark.info or call (970) 565-9653.